And so the story goes, Sunday morning, in our Italian household, meatballs must be frying. If not something would be wrong. 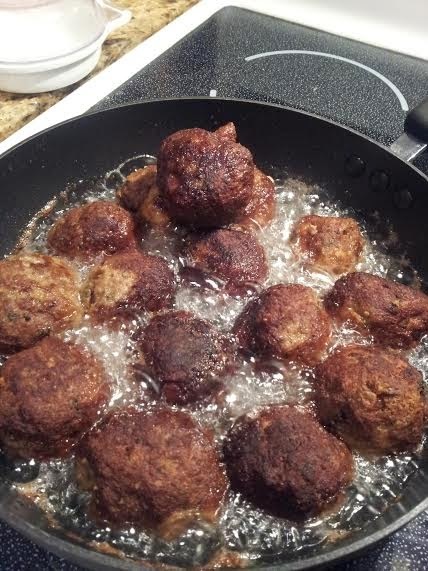 Mom would be frying the meatballs, dad and my brothers waiting by the stove not patiently to put one on their fork and of course the aroma engulfed the entire neighborhood swooning everyone to our house while they were frying. 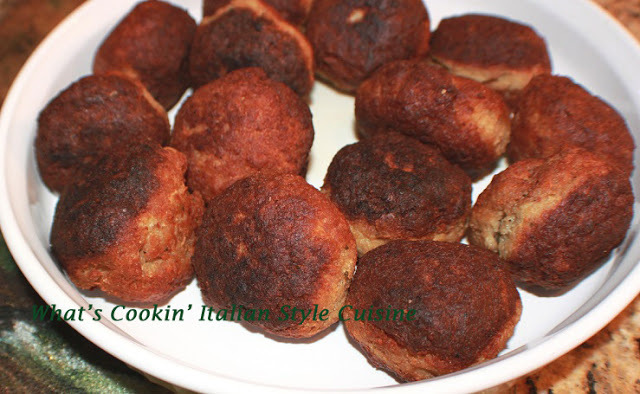 A traditional Sunday for us, breakfast was being served with meatballs or it wasn't the Sunday we looked forward to period, didn't really care about anything else until the sauce was done and then it was time to dip the bread into the homemade sauce. Oh the story doesn't end there. Then came the yelling from mom, "who ate all the meatballs?" there are none left in the bowl for the Traditional Sunday Sauce! We would all scram!